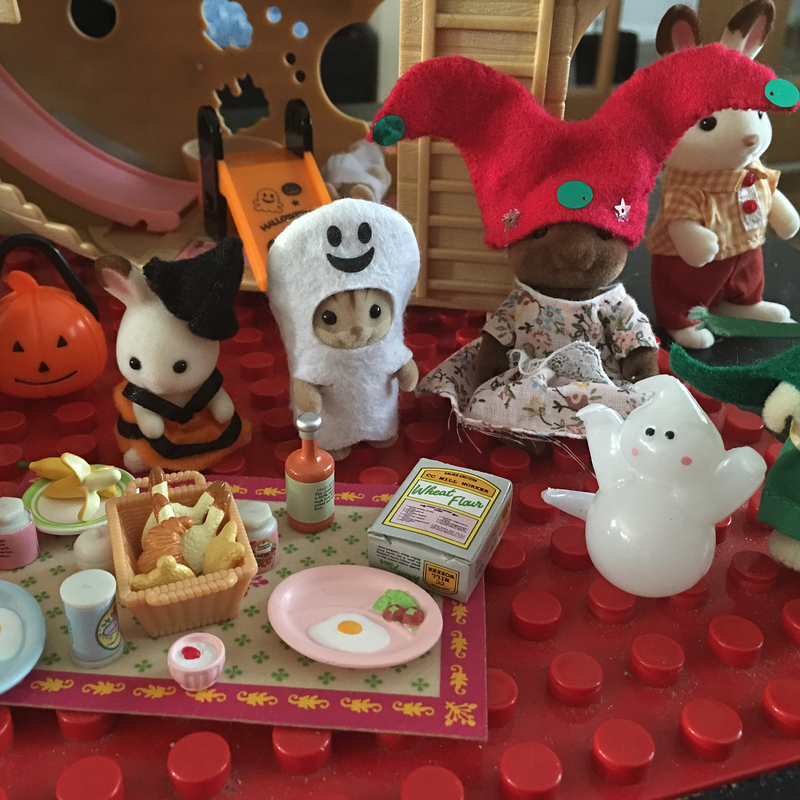 Sylvanian Families are one toy which is always out in our house so I thought it would be fun to make a Halloween play scene for my daughter. 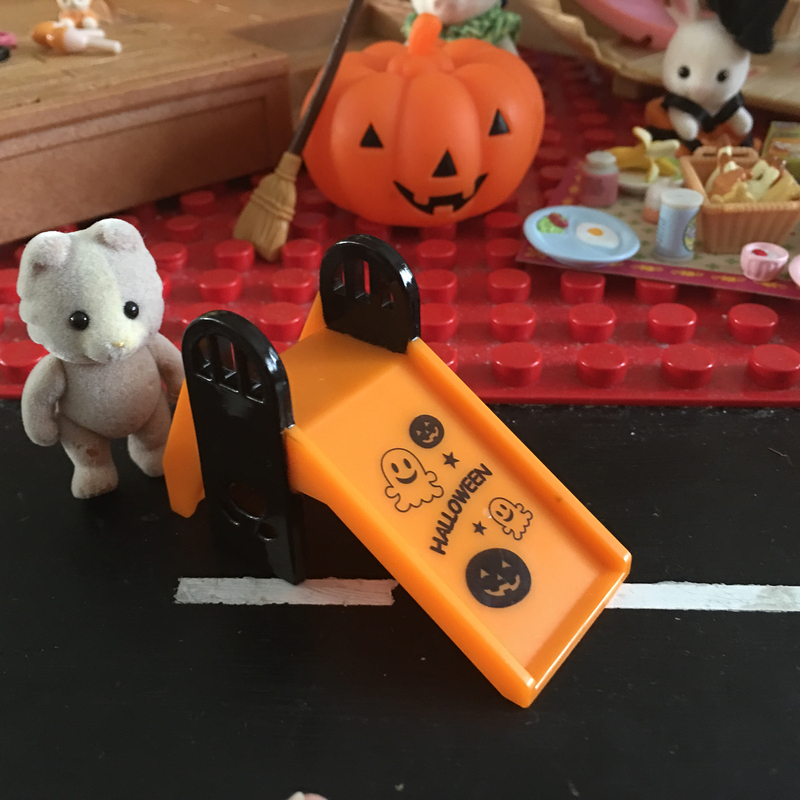 Did you see the photo I shared on Twitter last week about the new limited edition Sylvanian Families Halloween Set from Epoch? This spooky set contains an orange and black slide decorated with ghosts and ghoulies, as well as two figurines – Baby Crème Chocolate and little Ambrose Walnut. There are also two little rabbit cuddlies to keep the tots company, as well as matching accessories for them to play with as they trick-or-treat. My daughter has collected lots of the small figurines and play sets and she has great fun playing with them. Over the last few days she’s taken over the floor with the Nursery Bus, Adventure Treasure Ship and Splash and Play Whale so it was easy to fit the Halloween set right in to the party. The new Sylvanian Families Halloween Set (Amazon affiliate link) costs £12.99 and is available from the Sylvanian Families Storekeepers website, Argos, Smyths and Toys R Us. If you don’t want to buy your own did you know there are a couple of free cool patterns to make your own Sylvanian Families Halloween costumes? I tried making a few and my children loved them. There’s also a Halloween colouring competition you might like to share with your children. There are 4 Halloween sets to be won for the best colouring in – the closing date is the 6th November. 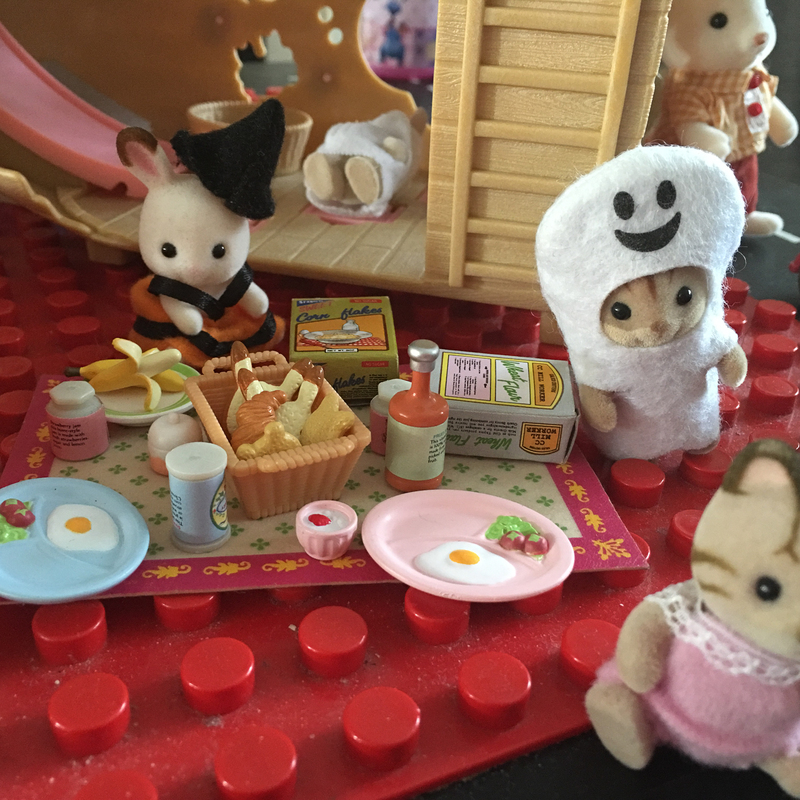 I used to love the Sylvanian Families when I was a child and what a cute idea to create your own play scenes! 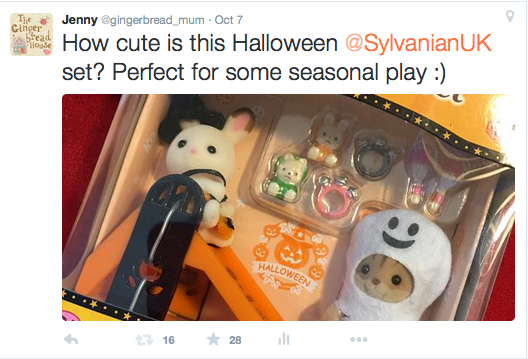 Well I’d never have put Sylvavian Families and Halloween together! It certainly looks spooky. I’m going to check out some of your other Sylvavian posts – my youngest quite likes them.